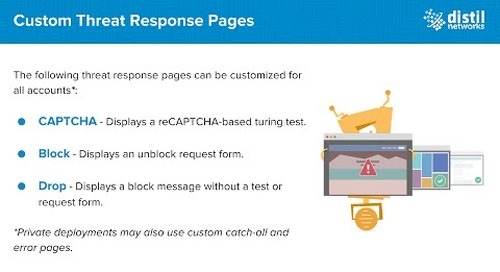 In this tutorial video, you'll learn how to use the CAPTCHA Requests Report to determine how effective the CAPTCHA challenge pages have been in terms of letting human users in and blocking malicious bots. 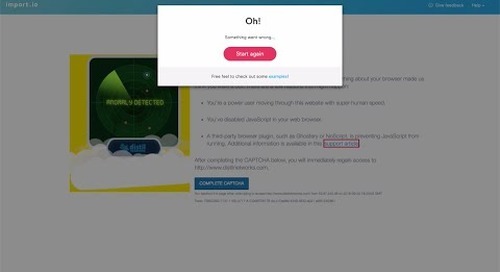 CAPTCHA forms that have failed or have been unattempted generally signify a malicious bot (or automated browser) that 1) behaves beyond “normal” user behavior, 2) receives the CAPTCHA, and 3) is either unable to complete the form or ditches the effort and moves to another site or page. 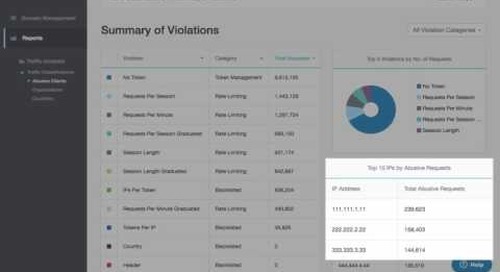 This video details how to use the Token Distribution report to review the top offending authentication tokens and IP addresses and blacklist them with your access control list. 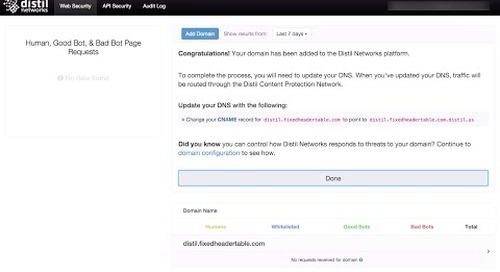 Distil Networks works in conjunction with your F5 Networks load balancer to protect your web applications from bad bots, API abuse, and fraud. In this video, you'll learn how it takes mere minutes for someone to run a free program that can pull data including content, images, pricing, links, and more. 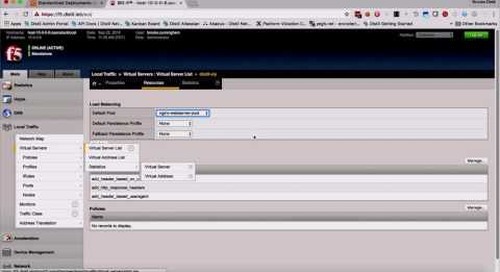 In this video, you'll learn how to enable custom, branded pages shown when a threat is detected by creating custom threat response pages. 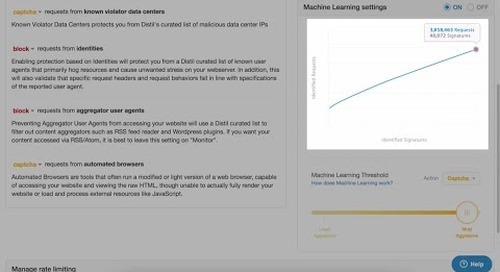 Learn about Distil Networks' Machine Learning. Learn how to review the number of errors (4xx and 5xx) returned by your origin server. 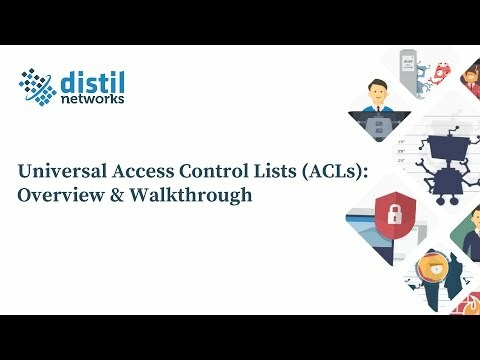 Learn about Distil Networks' Abusive Clients Report. 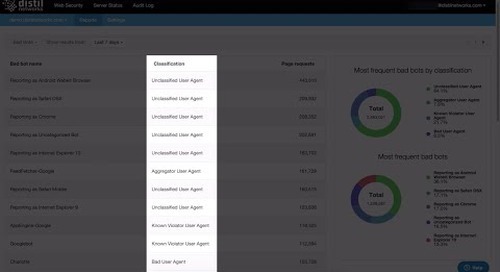 Learn how to see all malicious IP addresses targeting your API. 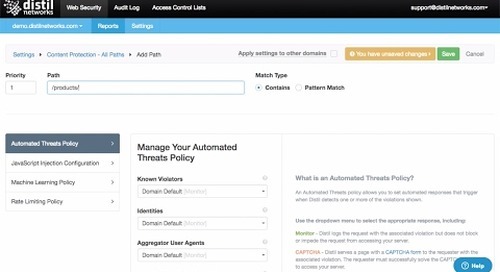 Learn about protecting your APIs from malicious organizations with the Organizations report. 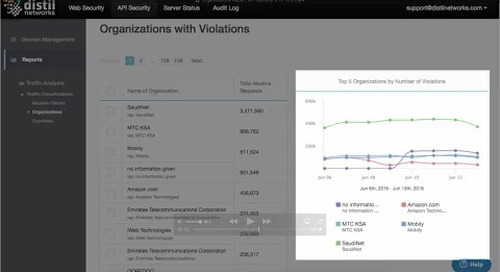 View the top offending organizations and blacklist them from accessing your APIs. 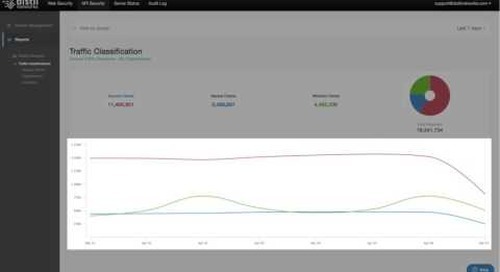 Learn about Distil Networks' HTTP Errors report. Our machine learning looks at all the users across our entire network and uses purpose built algorithms to look at long- and short-term behaviors. 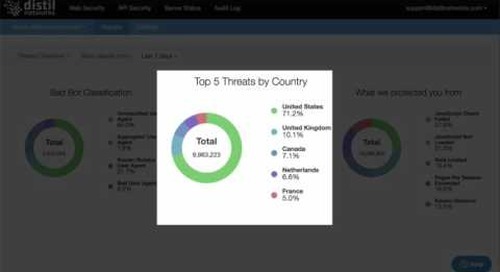 Learn about Distil Networks' Threats Overview report. 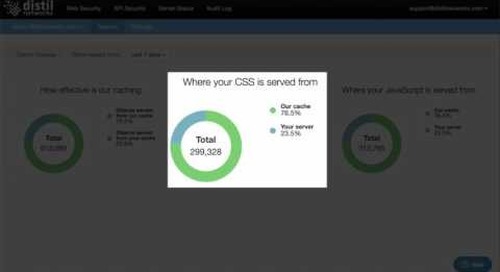 Learn how malicious traffic targeting your site. 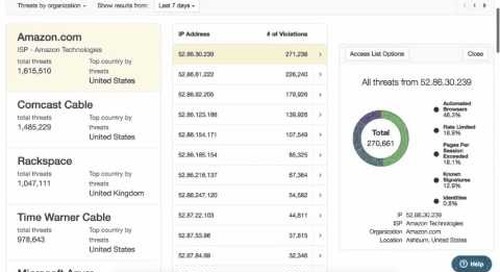 Learn about Distil Networks' Cache Analysis report. Learn how your site’s content is being delivered. 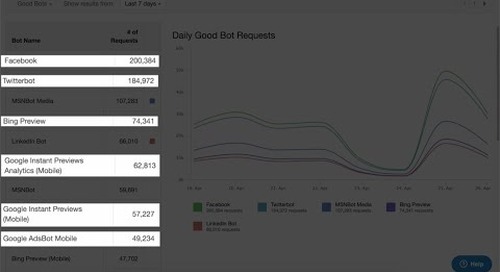 Learn about Distil Networks' Good Bot Report. 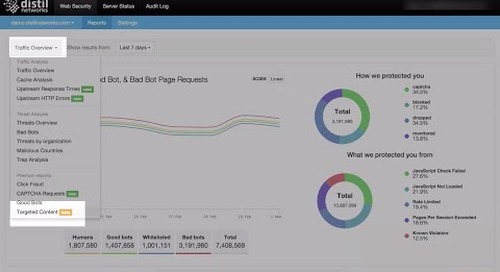 Learn how to track good bots or crawlers accessing your site. 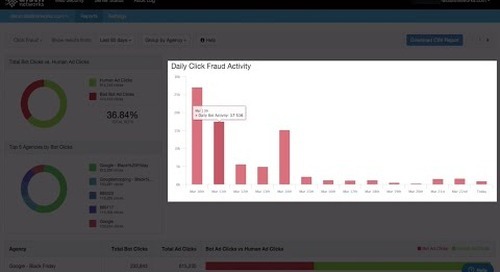 Learn how to use Distil's Click Fraud report. Malicious bots attempt to penetrate your site by clicking search engine ads & PPC campaigns. Don't pay for Fraudulent PPC clicks. 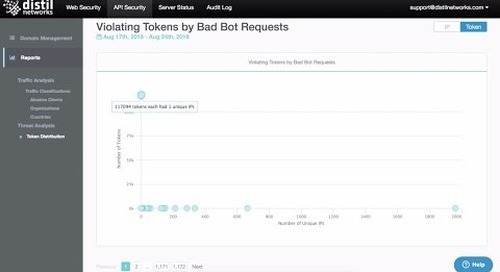 Learn how to use Distil Network's Bad Bots report to classify your bad bots. This report provides a dynamic picture of unwanted traffic targeting your site. More than just a list of IP addresses.